I will watch all four movies the next few days. I haven't watched any of them the last 8 years. With over seven minutes of previously unavailable scenes, the director's cut of Lethal Weapon is a long-overdue present for fans. Riggs' solitary homelife and the tragic loss spurring him to a reckless disregard for his own safety now come into greater focus. We see that recklessness in new scenes underlining the differences between the two cops. Murtaugh, just 50, needs reassurance about his skills at a firing range. Riggs, not caring if he sees another birthday, coolly walks into a schoolyard sniper's field of fire. All the humor and adrenaline that made this original an entertainment milestone are here, too. No scenes have been removed. But new action and new insight are now included. Include yourself in the excitement. Lethal Weapon is one of the best (if not the best) buddy cop movies. Good mix of humor and interesting characters, which do not seem so over-the-top as in a lot of other movies of this kind. Of course you could say this about Gibson's character, but I still feel it works great here as it comes from his emotional state. The only thing which I think is out of place here is the final fight between Riggs and the bad guy. They already had him apprehended, but Riggs simply wanted to have another hand-to-hand fight with him. I think it's an okay action flick, but I don't care much about it. As far as the Shane Black fare goes, I prefer The Long Kiss Goodnight and especially the (IMHO) vastly superior Kiss Kiss Bang Bang. But if I remember correctly, Gibson's performance here prompted Franco Zeffirelli to aproach him for the role as Hamlet, so I might have missed something. Got it - and more. 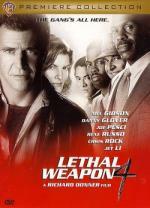 Over four specially added minutes put the boys back in action as never before in this director's cut version of LETHAL WEAPON 2. Riggs wows the pretties at a hotel spa before getting to Getz. Murtaugh receives bad bodywork news from an auto repairman after his beleaguered station wagon sees some Riggs-piloted street action. Plus, feisty Leo shares a newly included scene in which he recalls a suspect's address by complex spins of numbers that, well, no one can tell it like Leo. And no one would follow his lead but Riggs and Murtaugh. It's police procedure, LETHAL style. And it's yours to enjoy as the duo draws a bead on criminals hiding behind diplomatic immunity. Not as good as the first one, but still a great movie. A lot of fun scenes. Who can forget the bomb-under-the-toilet scene? My main problem with this movie is, that it hinges on two major movie clichés. The first one I don't mind that much: Protagonist falls in love. Shortly after they get together, the woman is killed and the man wants revenge. But the other is worse: The villain has diplomatic immunity which he thinks means that he is above the law and can do anything he wants including killing a bunch of people. The characters, action and comedy are back - plus something new. Riggs meets someone he never expected to find: his female alter ego, Lorna Cole (Rene Russo). 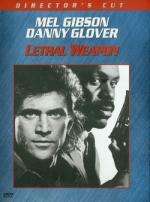 With this director's cut of LETHAL WEAPON 3, something newer is added: three minutes of never-before-seen footage! Remember the marina slugfest between Riggs and Murtaugh (Danny Glover)? New scenes with Riggs and Murtaugh's daughter Rianne (Traci Wolfe) add subtext in his fighting-mad protectiveness. Other additions: domestic bliss at Rigg's trailer with a new rottweller buddy joining Rigg's canine pal Sam, Trish (Darlene Love) insists Murtaugh wear a protective vest and Cole takes the wheel of a high-horsepowered interrogation. Another fun entry in the Lethal Weapon franchise. Lorna is a good addition to the cast and a great love interest for Riggs. Leo on the other hand gets annoying (which is his purpose, I suppose). Pure dynamite! The LETHAL WEAPON team has done it again, putting the match to the fuse and putting the WOW! back on screen for LETHAL WEAPON 4. Mel Gibson and Danny Glover return as buddy cops Riggs and Murtaugh, with Joe Pesci riding comedy shotgun as chatterbox Leo. Murtaugh is still the family man. Riggs is still the gonzo loose cannon and – what's this? – family man. His will he/won't he marriage to Cole (Rene Russo) is one of the new wrinkles in this powerhouse crowd-pleaser that also stars comedy favorite Chris Rock and international action star Jet Li. Wedding bells, ammo shells, explosive laughter – this one's fully loaded! A good and fun closure to the series. Not as good as the previous three, but still funny to watch those two in action. It is nice to see that Riggs is still in a good relationship with Lorna. I also liked Leo this time around. Only Chris Rock was miscast. Not because of his acting, but I thought it did not fit, that they had him do Chris Rock like tirades. We already have Leo doing this and he is better at it. L.A. is a real jungle these days: the cops have just got to make sure that they're not eaten alive! Down on mean street, USA, the cops put chalk outlines on the sidewalk before the homicide has been committed - and bad guys with more than 10 misdemeanours to their name pay their debt to society with a VISA card! Thank heaven for ace detectives Wes Luger (Samuel L. Jackson) and Jack Colt (Emilio Estevez) who are out there pitching for the forces of law and order. Colt's a go-getter and his inner strength comes from his famous "Breakfast of Champions", a blend of chocolate syrup, Jack Daniels and Budweiser. Luger, on the other hand, has seen it all before. He's a by-the-book veteran, due to retire in four days. But when the Wilderness Cookie Murder Case breaks, they'll need to put their heads together, especially when they come up against intellectual sociopath, Dr. Hannibal Leacher (F. Murray Abraham)! I thought this Lethal Weapon parody is a nice conclusion to this marathon. I had to wait a little to watch it, because my brother wanted to watch it with me. Though a lot of jokes fall flat, there were enough to make me smile a few times. I haven't watched this movie for a while, so I got a few surprise cameos. With the Bruce Willis cameo (as John McClane), I had the feeling though that this scene was originally written for Mel Gibson's Riggs. I imagined, that after the trailer got destroyed by the helicopter (similar as in the Lethal Weapon movies), that Riggs emerged from the debris to point out that they got the wrong trailer.